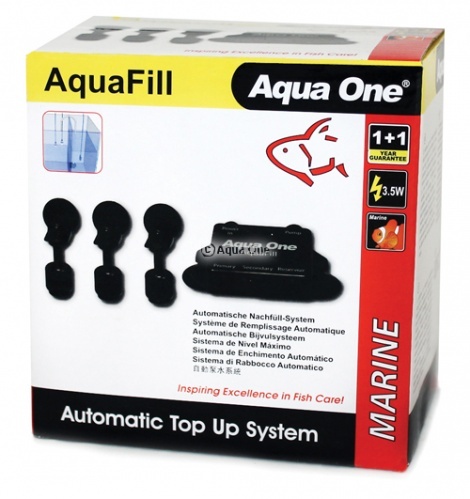 Aqua One's Aqua Fill is a great product to maintain a stable water level in your aquarium or sump. In freshwater use, you can maintain your water level as evaporation occurs. In marine aquariums, you are maintaining a constant water level which aids in the prevention of fluctuations in salinity. The Aqua Fill achieves this by pumping small amounts of water as needed from an external reservoir such as a bucket/bottle. Reliability is ensured with the use of a 3 float system which also prevents damage to the top-up pump in the event that the reservoir is emptied.